SERVES: 4-5 PREP: 30 min. COOK: 10 min. In a bowl, combine the cumin, paprika, onion powder, chili powder, garlic powder, and season with salt and pepper to taste. Rub the mixture all over the salmon, and refrigerate for 20 to 30 minutes. In another bowl, mash the avocado until you get a smooth texture. Add all the remaining ingredients for the avocado sauce, and stir until well blended. Remove the salmon from the refrigerator. Grill the salmon on the preheated grill for 6 to 10 minutes, flipping once. 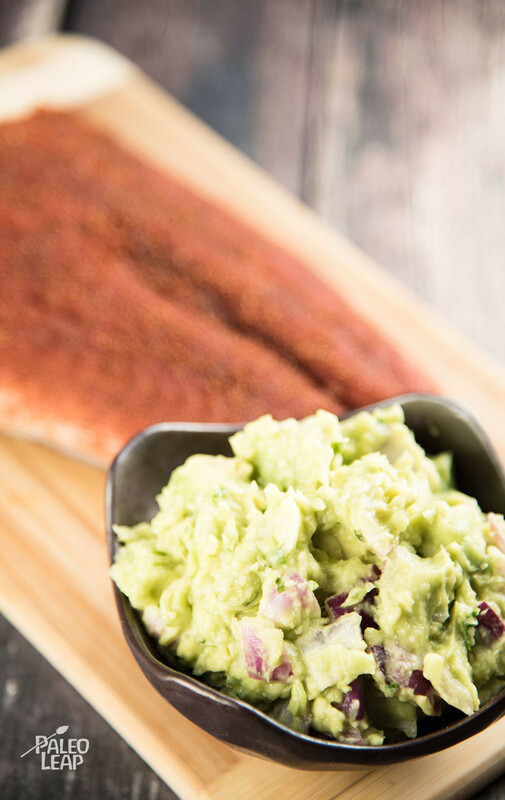 Serve the salmon with the avocado sauce.